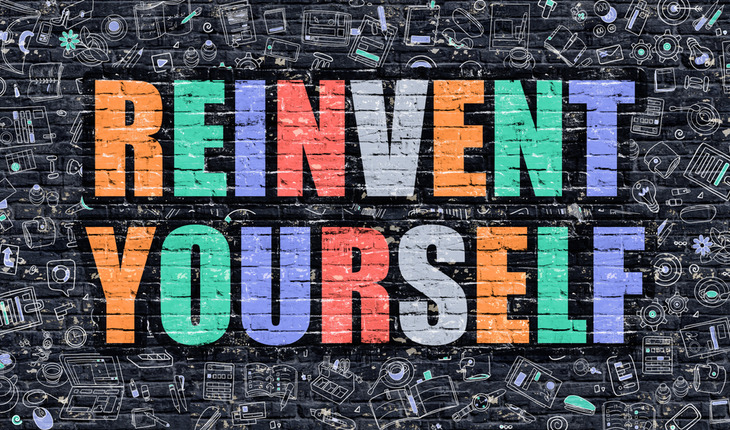 Many Americans in the latter stage of a career – or even already in retirement – have discovered that it’s never too late to reinvent themselves. Folk artist Grandma Moses was in her late 70s before she began her painting career. Colonel Harland Sanders was in his 60s when he launched Kentucky Fried Chicken. Arnold Schwarzenegger reinvented himself a couple of times, going from professional body builder to actor to governor of California. Sometimes referred to as “encore careers,” these second acts can reinvigorate you and give you a reason to greet each day with anticipation, I wrote my first novel after working for more than four decades as an attorney, including as a criminal-defense lawyer in Chicago. In my case, I was able to incorporate elements from my original career in law into my encore career as a writer. I put his knowledge of Chicago’s crime and corruption to use in his novel “JoJo” (www.readjojo.com). But I didn’t completely shed my past self to take on this new identity. I’m still working as a lawyer, and I work nights on my writing. So, I’ve pretty much added a second career into my life. Realize that purpose is important. After years in the same profession, it’s easy to become burned out and to operate on auto pilot as you perform the tasks of your job. Essentially, people can lose their sense of purpose. When they reinvent themselves, that purpose can be reignited. You’re much more likely to be successful when you’re driven by a sense of purpose. Find what excites you. I always wanted to write, so it was not surprising that pounding out a novel could become a passion for me. If you’re reinventing yourself, the reinvention might as well center on something you’re passionate about. That could mean returning to college to earn a degree, learning a musical instrument, or embarking on the career you dreamed of as a child but put aside for more practical pursuits. Don’t convince yourself that it’s too late. It’s not. Many years ago, the newspaper advice columnist Dear Abby received a letter from a 36-year-old college dropout who wanted to return to school to become a doctor. But this would-be physician worried that it would take at least seven years to finish all the schooling. “In seven years I’ll be 43,” the letter writer lamented. Abby responded with a question. “How old will you be in seven years if you don’t go back to college?” As it happens, I spent seven years working on “JoJo,” setting aside writing time between 11 p.m. and 1:30 a.m. Burning the midnight oil paid off, so it definitely wasn’t too late to get started. I believe it’s important to put your mind to its full use. With law, I was only using part of my brain. I wanted to use all of my brain and what I am capable of, which is why I began writing my novel. Oliver Harris, author of the legal thriller “JoJo” (www.readjojo.com), has spent 45 years as a trial lawyer, prosecutor and criminal defense attorney. He has worked in both Chicago and in Palm Beach County, Florida. His undergraduate degree is from the University of Chicago and his law degree is from the Indiana University School of Law.